After nearly 9 years I have decided to resign from Fox News. Those of you who have spoken to me in recent months, you will understand why I am leaving FNC,” Powell said in the post. The Wrap reported yesterday that Powell–a Jerusalem-based reporter–is departing Fox News because he’s uncomfortable about the direction of the news organization over the past few months. “Fewer news shows. More opinion shows. Less resources for reporters to report,” a source familiar with Powell’s thinking told The Wrap. This departure comes fewer than three months after former Fox News president of programming Suzanne Scott was elevated to CEO of Fox News and FBN, and president of News Jay Wallace was named president of Fox News and Executive Editor. A veteran foreign correspondent, Powell butted heads with the office of Israeli P.M. Benjamin Netanyahu last year after suggesting in a May 2017 tweet that Netanyahu told Pres. Trump not to move the U.S. Embassy from Tel Aviv to Jerusalem. Huddy was told he was losing his job just as his sister, former Fox Newser Juliet Huddy, was making an October 23 appearance on the Today show, where she spoke about her sexual harassment claim against Bill O’Reilly. 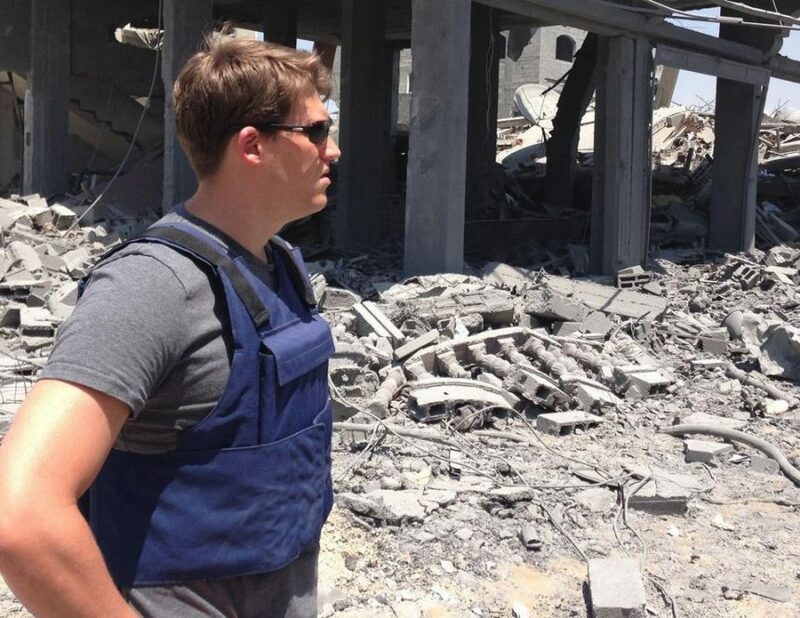 He had been a Fox News foreign correspondent since in 2014.